The temple city is a wonderful place to tour for in Uttar Pradesh. The holy land of Ayodhya in Faizabad district welcomes national and international tourists every year to its land. Majority of the tourists are devotees, who visit the city to pay homage to the ancient pilgrim centres in the city. The holy land is also said to purify the sins of the people and is a place to attain moksha. For this spiritual factor the city is toured by devotees throughout the year. The state and the central government make all the vital arrangements to welcome the tourists in this prime city like trains from all parts of the nation to Ayodhya, highways linking the city with all the major cities in Uttar Pradesh and roadways connecting the nearest airports from Ayodhya to its grounds. Due to these factors travelling to Ayodhya is made easier for its visitors. The city has many important places of interest like the ancient Hindu temples, Jain Mandirs, monuments, parks, boating, shopping and so on. Kunds are also very popular in the city as it is believed bathing in the Kunds of the holy city will purify the sins of the peopel. Popular kunds in the city are Ram ki paidi, Datuvan kund, Gurudwara Brahma kund, Brahma kund, Sita kund and Vidya kund. Holy dip is also very popular in Saryu River which flows in Ayodhya. Thousands of devotees bath in this river daily especially at the time of special occasions like Rama Navami and Parikrama to purify themselves. It is believed that River Saryu washes away the impurities. Tourists can also have a great fun of boating in River Saryu and Ghaghra. The Ram Katha Museum also attracts many tourists to its premise. The Chakravarti Mahraj Dashrath Mahal is an important and most popular tourist spot in the city which is visited by thousands of tourists each year. This Mahal is also known as the Bada Asthan and Bada Jagah. The popularity of this Mahal is because King Dashrath of Solar clan lived here with his family and ruled the city. 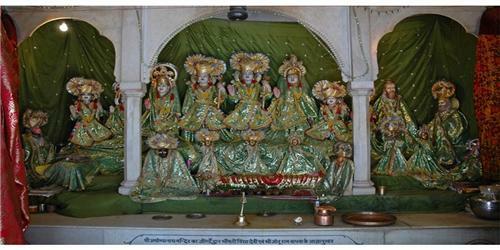 At present, the Mahal homes a shrine dedicated to Lord Rama, Sita and his brothers Lakshmana, Bharat and Shatrughan. Popular festivals and fairs like Diwali, Ram Vivah, Ram Navami, Kartik Mela and Shravan mela are celebrated at this Mahal. The Mahal is opened for public daily from 8 am till 12 pm and again from 4 pm till 10 pm. Tulsi Smarak Bhawan is another popular monument in the city that is dedicated to the great saint Goswami Tulsidas Ji. The Tulsi Smarak Bhawan displays the wide collections of the great literature work of Goswami Tulsidas ji. The monument conducts devotional concerts, prayer meetings and spiritual disclosures frequently. The famous Ram Lila play is staged every day from 6 pm to 9 pm at Tulsi Smarak Bhawan which attracts devotees daily to the monument. The religious events organized here are very popular among the people. The evergreen parks of Ayodhya turn out to be an excellent picnic spot in the city. Here are the details of the parks in Ayodhya. The travel agents in the city aid the tourist and travelers in booking their transportation vehicle which can be a cab, train, flight or a bus. Here are the details of travel agents in Ayodhya. The Cinema Hall in Ayodhya is a perfect entertainment spot in the city which displays Bollywood and Hollywood movies. Ayodhya city, on the banks of Saryu river, is one the most visited religious tourist spots in UP. Lakhs of tourists visit the city every season. For the same reason many hotels and guest houses operated by government and private organizations function in the city to provide a quality stay for the tourists in the city. For most of the hotels pre-booking has to be done to book a room to stay. Here is the detailed list of places of stay in Ayodhya. Ayodhya is popular for Hindu mandirs most of them are dedicated to Lord Rama, Jain Mandir as many of the Jain Tirthankar like Adinath, Abhinandanath, Sumatinath and Anantnath were born in this holy city. Here is the detailed list of places of worship in Ayodhya.